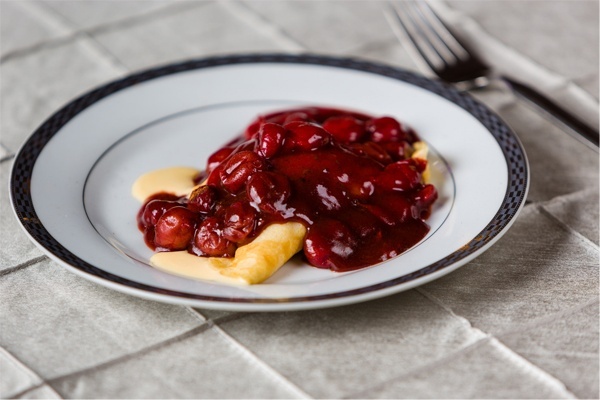 Cherries jubilee is a dessert that consists of cherries in a sauce, usually a simple syrup, flambéed in some kind of liquor (typically brandy, or kirschwasser). 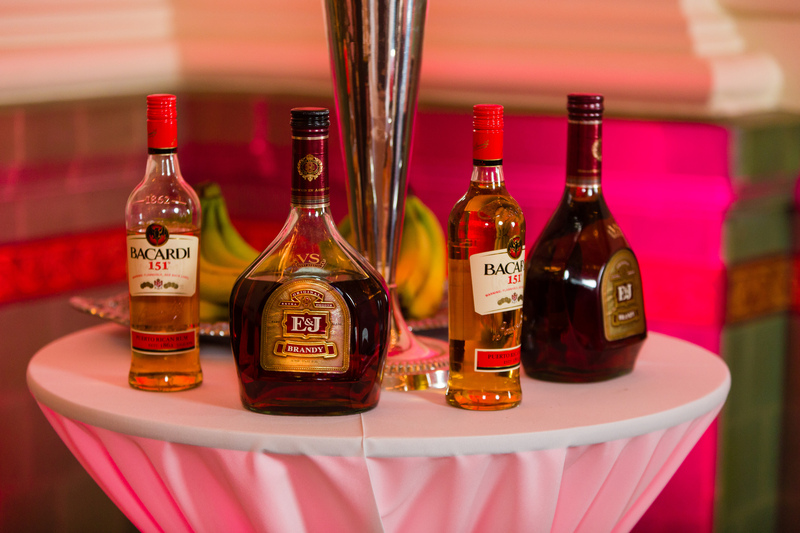 It is served as a dessert topping, usually on ice cream (or our favorite: atop warm, freshly made crepes). Cherries jubilee is generally credited as being created by chef Georges-Auguste Escoffier for Queen Victoria’s Jubilee celebrations in the late 19th century – hence the name! – vanilla ice cream, crepes, waffles, etc. Pour cherry pie filling into a skillet and warm on the stove on medium-high heat. Pour desired amount of brandy into skillet and flambé the cherries. To do this, it is easiest on a gas stove top. Slightly tip the skillet and catch the brandy/cherry mixture on fire. 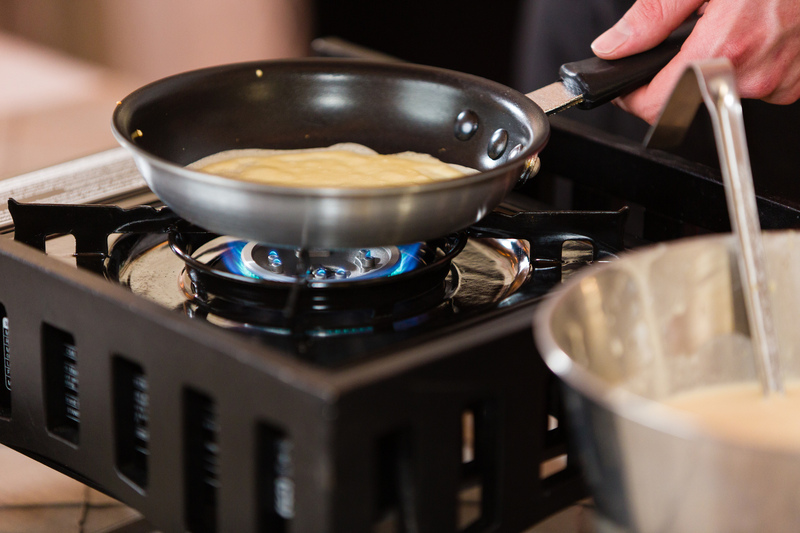 If you do not have a gas stove, you can carefully light the mixture with a grill lighter. Swirl the cherry mixture in the skillet. To add entertainment and make your cherries jubilee-making experience a show, carefully shake cinnamon into the skillet to create sparks. 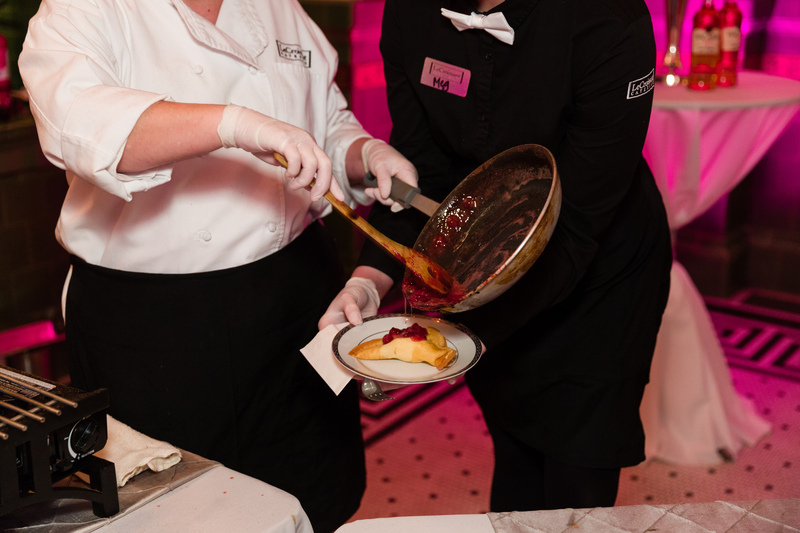 (We can’t express enough how careful to be while flambéing). Once the flames start to subside, pour your warm cherries jubilee over your dessert, whether it be vanilla ice cream, crepes, waffles, whatever! Enjoy! 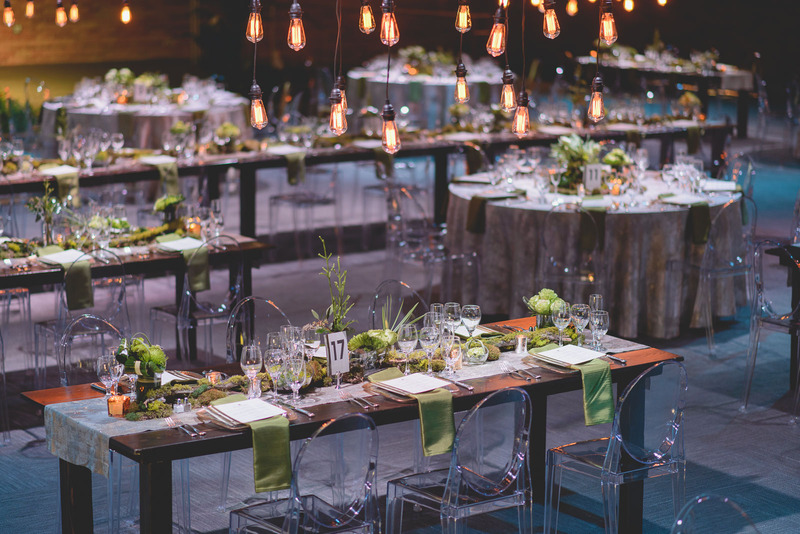 If you would rather not do all the cooking at your next event or party and instead enjoy the company of your guests, give us a call! 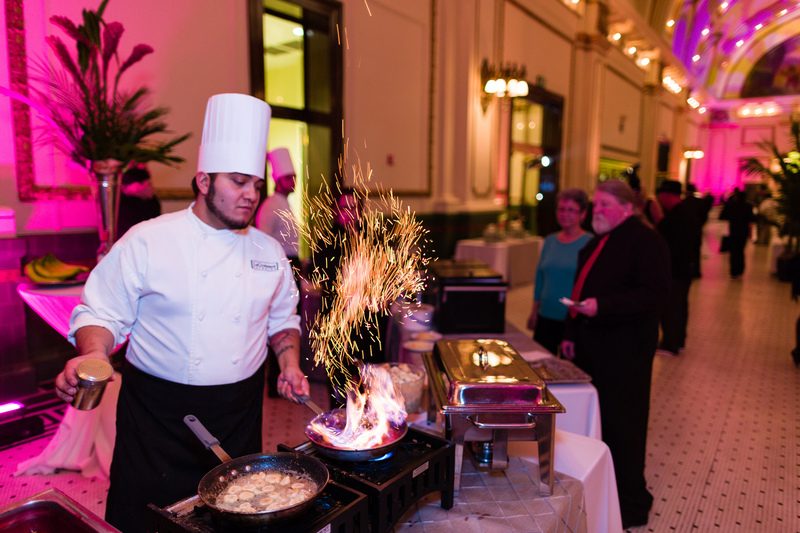 We would love to create a fun and entertaining event for you, complete with our popular live-action crepe station and delicious cherries jubilee.